ArenaNet’s taking a pretty huge risk here, potentially unbalancing the entire economy. This post is pretty long, but essentially Magic Find is be removed from gear and applied to your entire account (caps at 300%!) and crafting gets a massive upgrade to an entire new 100-skill rank (caps at 500 now). Fortunately, all of the work hundreds of thousands of players put into the legendary weapon process won’t be for naught. 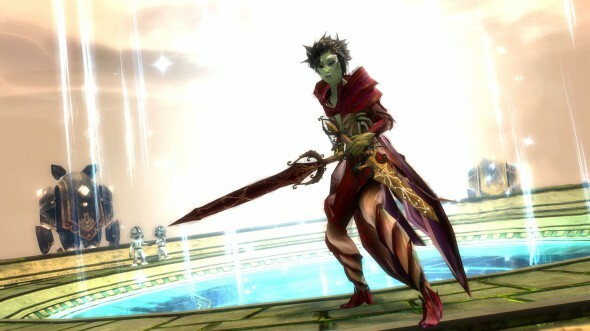 Legendaries will be upgraded to be the equal of the new Ascended Gear. Hey everyone, it’s John Smith, ArenaNet’s resident economist. I want to speak this week on some of our up-and-coming content changes and how they’ll affect you as a player. First off, let’s explain the new systems coming in. In the past, players had to sacrifice some of their stats to increase magic find. This created a trade-off between the maximum effectiveness of a character and the ability to earn increased drops. There is a wide range of opinions on the best way to go and what’s acceptable in a group, which has caused some controversy. Magic find should be a boon to your character and shouldn’t cause any discord inside the game, so we’re changing how you earn it and how you “equip” it. In this next game update, magic find will no longer exist on gear or Upgrade Components. Instead, players will salvage Essence of Luck from Fine and Masterwork gear and from Globs of Ectoplasm . Each Essence of Luck will contribute to your Luck Bar and each time the Luck Bar is filled it adds 1% overall magic find on all of your characters permanently, to a maximum of 300%. After this change, magic find will come only from consumables, guild buffs, and utility infusions. In order to get everyone started on this new system, all current players will receive enough luck to get to +20% magic find. If you’re wondering what will happen to all of your current magic find equipment, we’ll describe what happens to the old gear at the bottom of this article. I’m going to pass this off to Linsey Murdock, who’ll talk about Ascended crafting. Hi everybody! Linsey Murdock here with some details about the upcoming Ascended crafting updates. In the next update, we’ll be adding Ascended Weapon crafting, with Ascended Armor crafting coming in a later build before the end of the year. We have new skins coming with these features and a whole host of new crafting materials that will send players out into the world and make our existing content more rewarding. I’m going to give you the basic breakdown of these recipes and then pass it back to John so he can tell you a bit about why we went this route and how it may affect the economy in new and exciting ways! When the update goes live, the three weapon-making disciplines will find that they can now level up their crafting from 400 to 500. In order to do this, you’ll need to refine Tier 6 crafting materials and craft exotics. To facilitate this process, we have reset everyone’s Exotic weapon discoveries so that you will be able to re-discover them and get that sweet XP bonus once again. Once you hit 450, refinements will unlock for new materials, fondly referred to as Tier 7. There are two types of Tier 7 material: those refined from lower tier materials plus ectoplasm and a new reagent, and those refined from brand new materials rewarded from specific content plus Obsidian Shards and the new reagent. You’ll also note the inclusion of a cooldown timer on the Ectoplasm Refinements. Each one can be refined only once per day, per account. Now, using your newly found refinements plus continuing to craft Exotics, you’ll shoot up to rating 500 and be able to truly start on your Ascended Weapon crafting journey. Your first stop should be to the nearest Master Craftsman in your discipline to pick up the recipe for an Ascended Inscription purchased with karma, and a recipe for an Ascended weapon purchased with Laurels. There are four basic components to any Ascended Weapon recipe: The two weapon parts (i.e., hilt and blade), an Ascended Inscription, and a Vision Crystal. Each of these components is crafted using a combination of new and familiar crafting materials. The weapon parts all follow the same pattern as their lower quality versions but use Tier 7 materials plus Crystalline Dust and the new reagent. The Ascended Inscriptions all take the exotic inscription of the stat combo you want plus Dark Matter and Crystalline Dust. Dark Matter is a new Account Bound material exclusively salvaged from Exotics. Because we wanted all stat combos in the game to be represented in Ascended Weapons, we have added new Exotic Inscriptions to the salvage tables on all non-crafted Exotic weapons and to drops where applicable. We have also added Exotic weapon recipes to use these new Inscriptions so that they aren’t only used for Ascended weapons. That’s a whole lot more discoveries to find! The final piece of your Ascended Weapon is the Vision Crystal. Historians of Tyria will recognize this piece as an important part of Ascension. It is crafted with Obsidian Refined materials and skill points. Each Obsidian Refined material is found in its raw form by playing many different types of content out in the world, such as: dungeons, champion kills, mega bosses, temple bosses, jumping puzzles, Guild missions, and WvW camps, towers, keeps, and castles! I know that’s a lot of stuff, but there are just a couple last things I want to tell you about. First off, crafting is not the only way to get Ascended Weapons! Anywhere you can get an Ascended Material drop or an Ascended item drop there is also a rare chance that you will get an Ascended Weapon chest that allows you to choose which weapon type you want from within a stat combo. And lastly, there is a new collection tab for Ascended Crafting materials that includes all the new materials and gives you a little peak at the additional materials coming later this year. There you go! Now back to John! Thanks Linsey. John here again. Each of these changes will have an impact on the game economy, resetting equilibriums and creating some unfamiliar market forces—which is why we thought we’d brief you beforehand. The vast majority of luck will come from Fine and Masterwork salvaging, and it isn’t a coincidence. 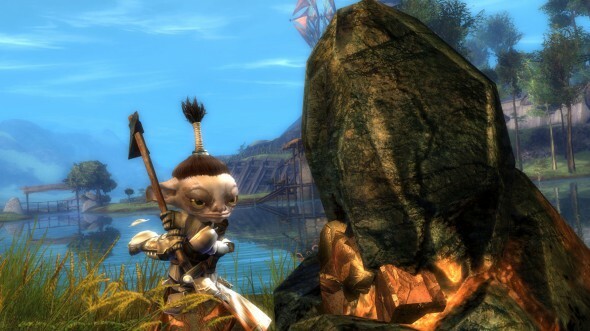 These more common items have a really large supply in Guild Wars 2; currently over 75% are sold to a vendor, and prices on the Trading Post are pretty low across the board. This makes Fine and Masterwork items a roundabout source of a small amount of income for players, and not much more. That’s not fun, and it’s not interesting. With account magic find, players will be able to salvage Fine and Masterwork items for luck and permanently make their whole account better. This gives more purpose to these items if you’ve already moved beyond Masterwork in your current equipment and gives new players and new characters additional selling power on the Trading Post. All together these changes will have a pretty large impact on the economy. Since we’re changing the value of all weapons and armor in the game, when the release goes live all materials, armor and weapons will be knocked out of equilibrium. 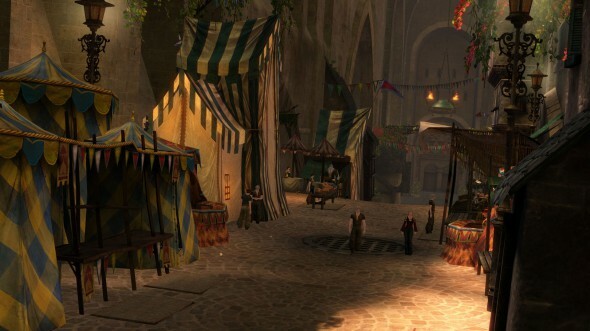 We have a really large and really fast economy in Guild Wars 2, so many items will find themselves back in equilibrium before you even notice something changed, while other commodities will shift and fluctuate as players adapt to the new system. What does this mean to you, the player? If you’re an avid Trading Post player it will be a really interesting time, watching how the markets fall back into place. If you’re less interested in the TP you can expect the rewards you previously sold to a vendor to be more valuable to everyone. Along with Ascended weapon crafting, Legendaries will get some upgrades. Legendaries will have all of their stats increased to Ascended level and will gain the ability to change between stat combinations when out of combat. Along with stat changes, many Legendaries will also receive some aesthetic upgrades. Weapons, armor and trinkets with magic find will become account bound, lose their current stats and will gain the ability to be double-clicked to select one of several stat options depending on the item. For example, if you have an Explorer’s Pearl Staff, you can now double-click it to change it to any other crafting stat. Since all weapons, armor, and trinkets with magic find will become account bound, any of these items currently on the Trading Post will be return to the poster. The only exceptions to this rule are in some high-end weapons that will still get the ability to select their stats, but will remain tradable. Copper, silver, gold and platinum doubloons will give boon duration. Rune of the Pirate will grant power instead of magic find. 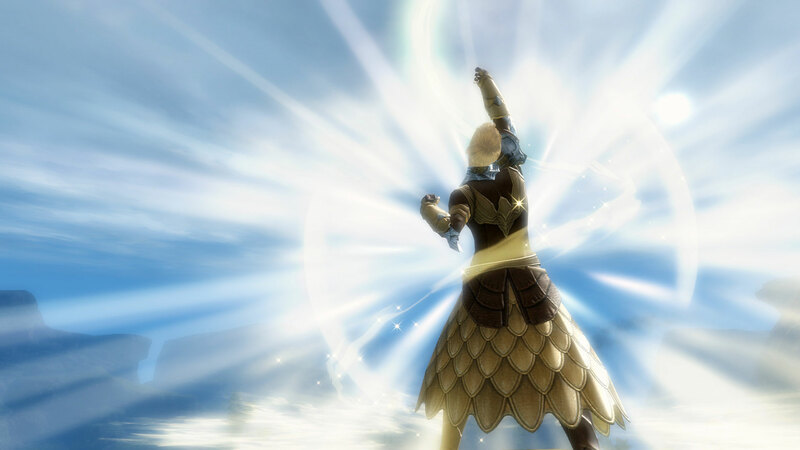 Rune of the Traveler will grant all stats, condition damage, boon duration and movement speed. Rune of the Noble will grant condition damage and might. Rune of the Scavenger will grant condition damage and life steal. Sigil of Luck will grant a random boon on kill. 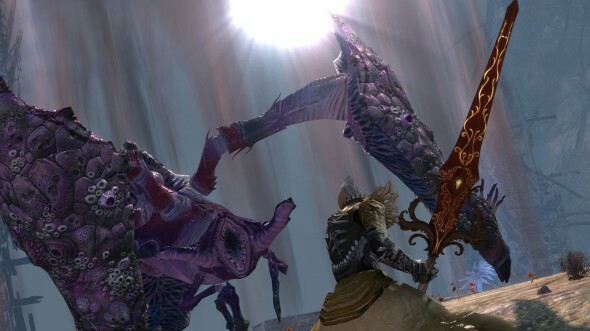 The economy in Guild Wars 2 has been incredibly stable since launch, and while we don’t intend to perform such a massive change to the markets often, we’re really excited about these changes. They’ll make each piece of our content uniquely rewarding, give players new goals that are clear and easy to work towards, and revise some old reward systems that held very little value. In the end, these changes are good for the game economy, but more importantly, they’re good for players.